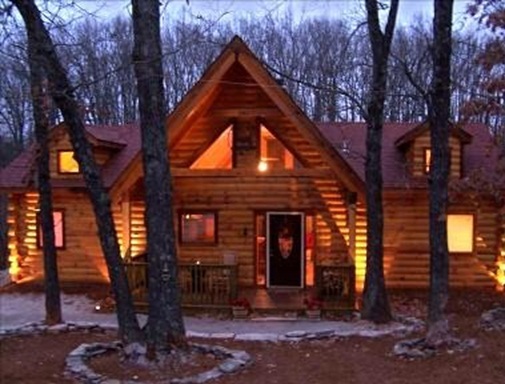 Many of Branson cabins that offer luxurious and comfortable stay are transformed into a romantic getaway for intimate couples who want to snuggle in a cozy and warm accommodation. Branson cabins at Thousand Hills Golf Resort are beautifully decorated for the holiday season to bring out the true spirit of Christmas. Although the spacious cabins of the resort are nestled in a secluded place , it is actually located in the heart of Branson, where every guest can always have the chance to get around easily in the city and can get easy access to some exciting attractions and world-famous live entertainment shows at some theaters. These lodging units are beautifully designed with the inspiration of natural setting, wildlife, and beautiful landscape. Your wonderful stay in a warm log cabin at Thousand Hills will let you experience a luxurious and comfortable way of living that cannot be enjoyed in a regular hotel accommodation. As guest of Thousand Hills, you can have the chance to watch or play the most popular 18-hole golf course in Branson. The beautiful location of log cabins near the golf course is one of the reasons why many visitors whether a golfer or not wanted to spend a romantic escapade with their loved ones. During the cold months, you will feel comfortable staying in a log cabin as this cozy accommodation has great features of fireplaces, a master bedroom with a master bath and a nice large tub. Each log cabin features top quality amenities that include big king sized bed, special pillow top mattresses, and triple setting in each bed with 320 thread count sheets. The kitchen of each cabin is fully furnished with modern appliances such as full sized fridge with ice maker, microwave oven, stove, pots and pans, dishes, and kitchen wares and utensils. With all these great features, you can easily cook your own food and enjoy a satisfying meal with the family. Enjoying a wonderful winter vacation in Branson is not only a fun way to celebrate Christmas but it also gives you the chance to experience an awesome fun and excitement during this holiday season. Silver Dollar City during Christmas season in Branson provides visitors many fun activities and exciting events that feature great lighting displays and other holiday decorations. While having a great time at Silver Dollar City, your Christmas celebration can still be enjoyed on your return to your accommodation as many of the cabins are decorated with beautiful holiday décor. Holiday season in Branson is a great time to experience as the place brings together a mix of entertainment, holiday spirit and recreation that provide visitors a wonderful Christmas celebration. During the season, Silver Dollar City is transformed into a holiday wonderland featuring a variety of holiday events, exciting activities, and spectacular lighting displays. So, if you want to enjoy the fun that the holiday season can bring during the cold days, why don’t you snuggle with your loved one in a warm log cabin at Thousand Hills.